ROAD TOWN, Tortola, VI - The Royal Virgin Islands Police Force (RVIPF) is reporting that some 16 bales of cocaine were recovered during the drug bust in Virgin Islands waters where one suspect was killed and two arrested on May 18, 2015, a story that was broken by Virgin Islands News Online. In a press release, the RVIPF also stated that officers of the Special Investigations Unit charged the two suspects taken into custody following the joint drug interdiction operation involving U.S. Customs and Border Protection, the Royal Virgin Islands Police Force and BVI Customs. Oidier Steevenson Triana Gomez, 22, of Venezuela and Julio Leonard Minaya Tejeda, 20, of the Dominican Republic were both charged with unlawful possession of cocaine as well as unlawful possession of prohibited ammunition under the new Firearms (Amendment) Act. “The two male suspects were occupants of the boat intercepted near Ginger Island on which 16 bales of suspected cocaine were recovered. A third male occupant, whose identity is still unknown, was fatality wounded during the operation. Police continue investigations in collaboration with US. law enforcement,” the press release stated. 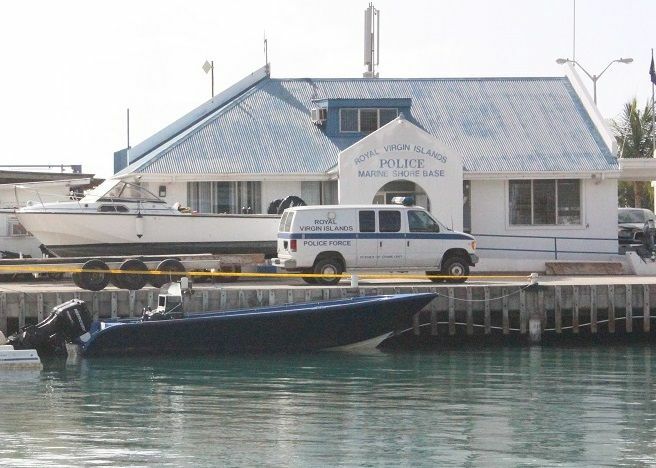 One man has been killed and two arrested during a drug bust in Virgin Islands waters this morning, May 18, 2015. According to the Royal Virgin Islands Police Force Public Relations Officer, Ms Diane Drayton, a quantity of drugs was seized during the operations. "‎In the early hours of this morning, the U.S. Coast guard together with local law enforcement were involved in an operation. As a result, a quantity of drugs was recovered and two suspects were arrested on suspicion of importation of narcotics and are in custody," said Ms Drayton. In confirming the death of one of the suspects in the drug bust, Drayton said, "a third suspect, who is deceased, was shot during the operation. Investigations are ongoing. Further information will come as it becomes available," Ms Drayton said. Other sources knowledgeable of the operations alleged that the deceased is a Colombian and was allegedly shot during the chase by US Coast Guards. 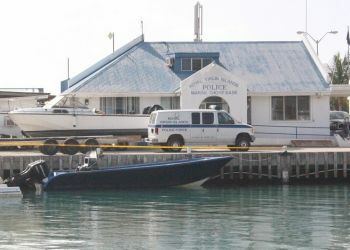 The vessel with the dead man and the arrested was brought to the marine base near Prospect Reef in Road Town and the two suspects have been taken into custody while the body of the shot Colombian was reportedly taken to the mortuary. No names have yet been released by the RVIPF. Columbia no shut them down!!!!!! Why the usvi had this dramma in our waters? @911. You idiot, they are in collaboration with local authorities in fighting the drug trade. Do you feel bad? Dummy you cannot force any one into your water like that unless they knew the area . These Colombian don't know the waters like that unless they are custom to be making these kind of trips .and finally get caught. Happy to know it isn't any local or we would have all kind of old and new story. OUR WATERS IS THEIR WATERS. LAWD YOU DONT SEE WHERE ST. JOHNS END??? WE GOT TO KEEP ON PUSHING! CAN'T STOP WONT STOP! What are you saying? That you have to keep on pushing drugs and won't stop? So what is wrong with getting a legitimate job to earn a living? Ok you degenerate, keep on pushing, don't stop. You will join the dead Colombian, or you will end up in jail. Either way, you won't have a life. Do you have parents, siblings or children? Sooooooooo sorry for you. Have you not realized that it is because of drugs the BVI is suffering, that we are on a path of self-destruction? How many of our youth are being wasted? Who will be there in the future to govern and take his rightful place in this beautiful land we call home? You need to open your eyes and see what is really going on. Slaves,vermins and losers have job so the 1% could live of your labor. All the while you miss one rent payment or mortgage you done! You guys got to save for the year just to pay insurance and register your car. Thinking bout that kind of life is DEATH IN ITSELF. Sorry I will KEEP ON PUSHING to live like the 1%, infact we PUSHING for the 1% they control the trade while they sit in CEO chairs and government pretending to be legit aka "keep up appearance". What you think all these DUMMIES on this island who have big mansions, apartment rentals, boats big trucking and construction business went to any bank for a BUSINESS LOAN?! The BVI WAS BUILT OFF OF COCAINE AND I INTEND TO BENEFIT! Anwsered your question? Well heck when you put it that way it makes sense. So....I second this ...as you were sir. Did the US left us with the prisoners and the dead body while they kept the drugs??? The US will keep the drug due to the fact that evidence in the BVI always go missing. I would really like to know the answer to this question, we are always left in a position where we have to foot a bill with prisoners while the US take the money and drugs! Well, I would assume that if the two individuals were arrested and are remanded here and the boat with the drugs was taken to the marine base (assuming that the drugs were not taken off the boat at sea and given to the US, which would make no sense) then everything regarding this case should be in the BVI (after all the article states the bust happened in Virgin Islands waters). But still you never know, I just giving my $.02. While death is never something to rejoice over, (and it is regrettable that someone ended up losing their life, notwithstanding the criminal elements involved), thankfully our Police personnel were not hurt in the execution of their duties. Also, God's willing, it will not be that they executed unnecessary measures in so doing...I trust that those who are associated with this type of activity, and those who were tempted by anyone or self, reconsider alternative options of making a living. If you live by the sword, you will due by the sword. Vessel looking nice bai! Free she up for poker run nuh! Did they leave the drugs along with the dead body? Who is responsible for the body now? How is responsible for the body? Throw it in the sea . Mother Nature will take care of it! Why when it close to any elections you always hear bout guns and drugs and I do believe the politicians are aware of these things as it seems to be part of their campaign strategy to spread their good news of vote for me. The politicians continue to theif the nation when they supposed to come to serve. Who dis drugs really come to serve the politicians or the people? Hope Those colombians dont payoff prison guards again to escape like they did a couple years ago. They need to send them uk or usa to serve their times. insurance which is Colombian and identifying the deceased ? I'm in loove with the COCO!!! I have one question, where is the drugs, it made note that the dead man's body and vessel and the other two who is in custody we get, my question is where the 16 bales go??????? enquiring minds want to know????? When a person does not have Jesus as their friend Satan will take over. The blood of Jesus covers sins. God want you to succeed in helping others to be of good service to those who don't know him and be a good citizen to your community. Young men it's time for you to stand up and be faithful to God. The wages of sin is death! To often men die to sin and the cares ot this world. You need to teach your comment to be faithful members of society and be productive also. I am not here to fondem yor sin but to encourage you to give Jesus your heart. You now have to pay for the sin you commit, while you have time give Jesus your heart! I beseech ye therefore brethren that ye present your bodies a living sacrifice, holy and acceptable unto God which is your reasonable service! What is your service? werent there 30 in all. where are the rest?